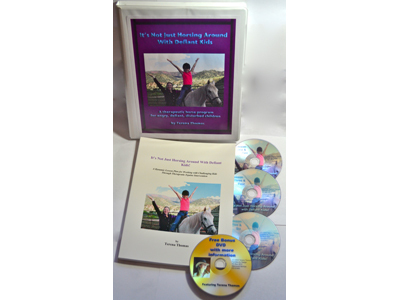 Three DVD’s with full visuals to guide you, PLUS a Bonus Informational DVD. 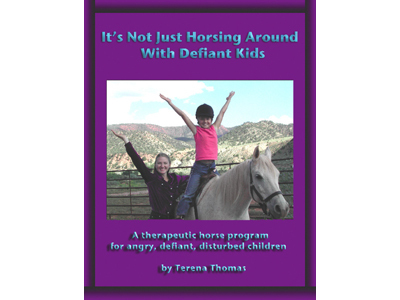 Everything you need to know for a successful program to help challenging children, just add a horse and your horse sense! 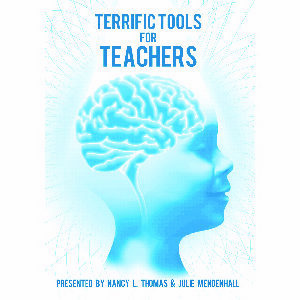 A power-packed 175 page manual with six complete lesson plans and three DVDs with full visuals to create your own program to help challenging children. 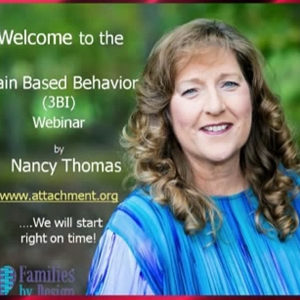 This program has helped children with: ADD, ADHD, Attachment Disorder, Aspergers, Autism, Bi Polar Disorder, Depression, ODD, and RAD, as well as other diagnosis. Lessons are designed to help: Attachment, Attention, Balance, Compliance, Coordination, Courage, Listening, Sensory Integration, Fine and Gross motor skills. Terena Thomas, is Nancy Thomas’ daughter. She is the program developer and author. Terena holds a Bachelor’s Degree of Science in Psychology from the University of Colorado. She is certified through the North American Riding for the Handicapped Association (NARHA) and the Equine Facilitated Mental Health Association. This dedicated young woman is a Red Cross First Aid and CPR instructor with special emphasis on animals and Children. Terena is the founder of Hooves for the Heart, an equestrian program for challenging children in the heart of the Colorado Rockies. She believes we can make a difference with these tough kids and created this dynamic program to make it happen. She has taught throughout the US and southern Australia. Her vision to help the children is contagious! CATCH IT!